The information in this post comes from Albert Ziegler, an internationally accredited researcher based in Germany. I share it with you in the hopes that our South African teachers may benefit from the knowledge and pass it on to their learners. Young learners can’t be expected to know how to learn by themselves. The teaching approach in many of our schools still results in children trying to memorise content – without true understanding or critical judgement of the material. Mastering a cognitive learning strategy is valuable for most learners. This might involve the steps of (1) Rehearsal, by repeating learning material; (2) Organisation of the material by restructuring the content in a form that is easier to memorise, and (3) Elaboration, or integrating the new knowledge into existing learning structures. Examples of this would be thinking through new material and evaluating it, or using own words and being able to teach it to others. But research shows that teaching only cognitive strategies results in a limited effect on academic achievement. When metacognitive strategies are taught as well, the effect is much more positive. Metacognitive strategies include the steps of (1) Planning – learning how to set goals, knowing what resources to use; (2) Monitoring – involving continuous assessment of own learning, and (3) Evaluation, which requires analysis of one’s own performance and the effectiveness of the learning method used. Self-regulation includes being able to reflect about your own learning, to understand your strengths, weaknesses and as a result, be able to set your own realistic goals. This may be as important as acquiring new content knowledge and some of you may be surprised that children in Grades 2 or 3 are already capable of learning how to do this. It certainly is a critical learning strategy that can stand them in good stead throughout their school years and beyond. To my mind, these aspects of learning are as critical, if not more, than the content of the current curriculum. It is truly much more important to teach children how to learn rather than spending too much of their time learning what to learn. 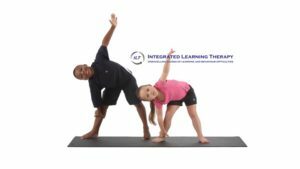 Integrated Learning Therapy (ILT) practitioners have tried hard over the years to encourage schools to introduce more movement into classrooms. We understand the terrible pressure put on teachers and learners by curriculum demands, so have worked with pre-school teachers, believing that they have more classroom time to devote to all-important movement. Imagine our disappointment when we heard from one school that had followed our movement programme with their Grade R learners for some years – with noted success – that they were obliged to stop the programme. The reason was that they now have to use that time to teach the preschoolers how to read. This is doubly sad because not only are those children missing out on the chance to ‘catch up’ on any possible areas of delayed brain development, they are also missing out on vital time spent moving. There is much written these days about the value of movement and the positive impact that physical activity has on academic learning. With this knowledge, there should be no doubt that introducing movement into classrooms is worthwhile. To our knowledge, many teachers are trying hard to do this, so I thought some information about the latest research might help justify their efforts. Also, some information about different types of movement might be helpful to get maximum benefit in the shortest possible time. Before discussing the research into different physical movement strategies, this article will briefly discuss ‘mindful movement’ versus ‘non-mindful movement’. Mindful movement (also called ‘purposeful movement’) is referred to when physical activities are integrated directly with learning goals. For example, when children form the letters of the alphabet with their bodies, or illustrate the orbits of the planets by walking around a central sun. The quality of the movement is less important than the fact that learners are focusing on academic content. Movement is used here as a tool for reaching teaching goals. Non-mindful movement is physical activity that is unrelated to academics. Examples would be running on the spot, running around the playground before a lesson, sitting on a wobbly cushion, pushing legs against a length of elastic tied around the chair legs, and so on. In other words, mindful movement uses movement activities to teach and learn directly; non-mindful movement does not. Generally, research shows that both types of movement can benefit learning. Teachers (and school administrators) may fear that movement takes time away from teaching and so will interfere with academic performance. The evidence gathered in recent years indicates that these fears are groundless. Learners benefit in more ways than one and a responsive brain results in more efficient learning. To help teachers understand more about the value of movement for learning, the next few posts will share some of these research studies. Integrated Learning Therapy (ILT) tries to help children reach their potential by addressing all the possible barriers to learning. 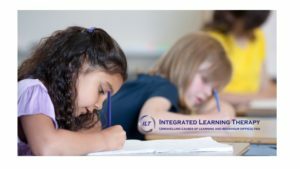 Visit our website www.ilt.co.za to learn more about our approach, find a practitioner near you to help and also see what courses we offer for teachers to better understand brain development, function and learning. Our courses are accredited with SACE (for CPTD points) and ETDP-SETA (for credits towards further qualifications in Special Needs Education). You can write to us directly at info@ilt.co.za. Remember to Like and Share our Facebook page to receive more posts like this one. You will all have heard of people who are famous for their ability to play chess very well. One of these is Garry Kasparov. He is a Russian, a former chess grandmaster and a world chess champion who earned the rating of world Number 1 at the age of 20 years. Many consider him to be the greatest chess player of all time. He is also a writer and political activist. Most of us will be impressed by this achievement and we will almost automatically assume that such ability at a challenging game takes really high intelligence. Do you think that chess masters must have very high IQ’s? In his introduction to a presentation of the importance of teaching learning strategies to young learners, Albert Ziegler, a prominent researcher in the education field, posed this question to his audience. The answer was that they don’t all score high on intelligence tests. Research found that the average IQ score of a large group of international chess players was 95, placing them in a very average range. So what does this seeming contradiction tell us? But when asked to memorise a list of 29 words from different languages (none of them familiar to Kasparov) in a veryshort time, he managed to correctly recall the meanings of 27½. This was a mind-blowing result and was due to his knowing strategies of memorization. The lesson here is that knowing how to learn and having strategies to help master various learning tasks is a better prediction of success than IQ. In the following post, I’ll be sharing some more information about learning strategies – which learners need to be taught in order to succeed in school. In last week’s post I wrote about the potential dangers to children’s developing brains of air pollution and listed the towns in South Africa with the highest levels of measured pollution. Most of us lack the freedom to live and work according to our choice. More often we find ourselves in towns and cities because of the nature of our work and the availability of jobs. If we are forced to stay in an area said to be heavily air polluted, are there ways of reducing the risk that pollution carries to our family’s health – especially our vulnerable children? First and foremost, you need to become an activist in supporting efforts to improve our air quality because you won’t be able to change the situation by yourself. Improving air quality means replacing fossil fuel combustion (i.e. burning fuel, such as coal, wood and so on) with cleaner sources of energy, including solar and wind. Support organisations fighting for this. On a note closer to home, be careful of fires (heating or braai) that are used in areas not well ventilated. Our increasing use of indoor braai rooms may add to the poor quality of air in our homes. Green areas, such as parks and trees within towns and cities can improve air quality, so encourage your local municipality to develop green belts and recreation spots. Wherever possible, plant trees and shrubs in your own garden. Our easy-growing plant, the ‘Spekboom’ is a natural supplier of oxygen – every garden should have a few! Encourage recycling. Waste that is burned in the proximity of living areas releases toxic chemicals that can reach children’s lungs. Although lead in the air has been reduced since its removal from petrol, if car and cell phone batteries are burned, lead can be released into the air. Use the battery disposal units set up in some of our supermarkets. Try to reduce children’s exposure to air pollution. Wherever possible, avoid travelling at times where roads are congested. If your home or child’s school is in an area of severe pollution, strenuous activity outdoors should be avoided. In spite of the importance of sport and play, exercise in harmful air should be minimal – especially if your child has a medical condition such as asthma or another respiratory ailment. Make sure your child’s school or daycare centre has a well-greened play area with trees and plants. The quality of air inside school buildings and other community structures can be improved by ventilation and air filtration systems. Mention this at your school and help work towards implementation of such methods. Other indoor air pollutants should be avoided too. The bad effects of second-hand cigarette smoke on children’s health is well-documented so homes and cars should be smoke-free zones. Other common sources of potentially harmful inhalants include certain cleaning materials. Use products that are manufactured to be harmless to our bodies and brains. Lastly, but by no means the least important, strive to maintain optimal levels of health in your children. Healthy diets and lifestyles build resistant immune systems and bodies that can help reduce the overall impact of air pollution. The healthier a child is, the less likely that he or she will develop health complications due to the exposure to air pollution. This is partly why Integrated Learning Therapy (ILT) continually encourages healthy eating patterns and other tried and tested ways of living that contribute to optimal brain development and function. In our schools across the country, we find thousands of learners who just can’t manage reading. In the lower grades, children struggle to learn to read, and in the higher grades, they cannot read to learn. In all other respects, they seem to be normal and just as intelligent as their reading classmates. This is so sad. We know that these children start school with an eagerness to learn. Then they are confronted with reading and in spite of trying really hard, cannot do it. They fail and fail again. The primary path to learning is through reading, so this first experience of school, of the world of learning and education, has become a disaster. In spite of the high number of children with reading problems, not all teachers or their schools are aware of the visual problems that may underlie the difficulties. 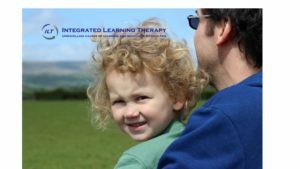 Integrated Learning Therapy (ILT) practitioners are confronted on a daily basis with families who report that their child’s eyesight has been tested and found to be normal. But they still can’t read. The truth is that vision for reading requires far more than is tested in a standard eye examination. This aims at identifying refractive errors (near or far-sightedness, astigmatism) or an eye turning in (strabismus). These problems are caused by irregular eyeball shapes which prevent the image focused by the lens from falling accurately onto the retina. Reading requires more than accurate focusing – it also needs good binocular vision. This is the process requiring several sets of nerves and muscles which make it possible for the two eyes to work together so that an image falls on the centre of each retina, then fuses into one and finally has the lens focus the image. Binocular vision is what enables us to see in three dimensions, to estimate distance and basically is crucial for almost everything we do with our eyes. Reading especially requires good binocular vision so that the eyes can fixate effortlessly on a visual target; images appear clearly as one; the eyes are able to track along letters, words and sentences or shift from one target to another. A child with poor binocular vision may show other problems as well. She may appear clumsy, have trouble stacking blocks or pouring water into a cup – all because she cannot judge space accurately. All of this means that a child may not be visually ‘ready’ by the time they begin school. The question of why puzzles us, and we have no definitive answer. The changing nature of children’s games may be questioned. Instead of games of the past that challenged visual-motor coordination have been replaced by electronic and battery-operated toys, leading to a lack of practice of the visual system. TV occupies a significant percentage of children’s leisure time without providing practice for the visual system. If reading is a problem, then the child’s vision needs closer investigation. 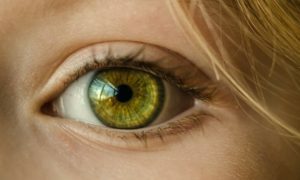 This should be carried out by a Developmental or Behavioural Optometrist, who is a professional with additional training in Binocular Vision and can help a child with Visual Therapy to improve binocularity. Unfortunately, there are few such specialists in our country so if you are not in an area where you have access to a Developmental Optometrist, you can see if you have an Integrated Learning Therapist (ILT) close to your school or community. ILT practitioners are trained to screen for binocular issues and have the tools to very successfully help children whose reading problems are causing them so much stress. 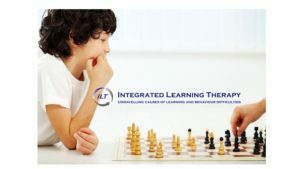 Visit our website at www.ilt.co.za to learn more about this approach, find a list of available practitioners and also consider a training course with us. These courses help teachers learn more about neurodevelopment and learning as well as helping to identify the underlying causes of learning difficulties. The courses are accredited with SACE for CPTD points and with ETDP-SETA for credits towards further qualifications. You are welcome to write to us at info@ilt.co.za for more information. Remember to Like and Share our Facebook page to receive further articles.